I was exceptionally happy with the outfit today around evening time just way they’re delightful and significantly evaluated at the fitting was astounding. Never knew I can purchase such a decent quality punjabi salwar kameez online! From bundling to fitting, shipping, everything was great. Much thanks to you Zikimo! I Placed Ordered of Two Made To Order Punjabi salwar kameez And What I Received Is Very Pretty. Much appreciated! Brilliant stitching. Magnificent service.Well done. Conversation is exceptionally excellent, quality is great and Low costs! My Parcel Reached On Time as Said.Suits are very Nice. I am satisfy to my purchases with Zikimo. I am very happy with your quick service. I got my Lehenga choli just on the opportune time. keep it up. I Ordered one Custom made Bridal Lehenga from Zikimo and they delivered it on Time. 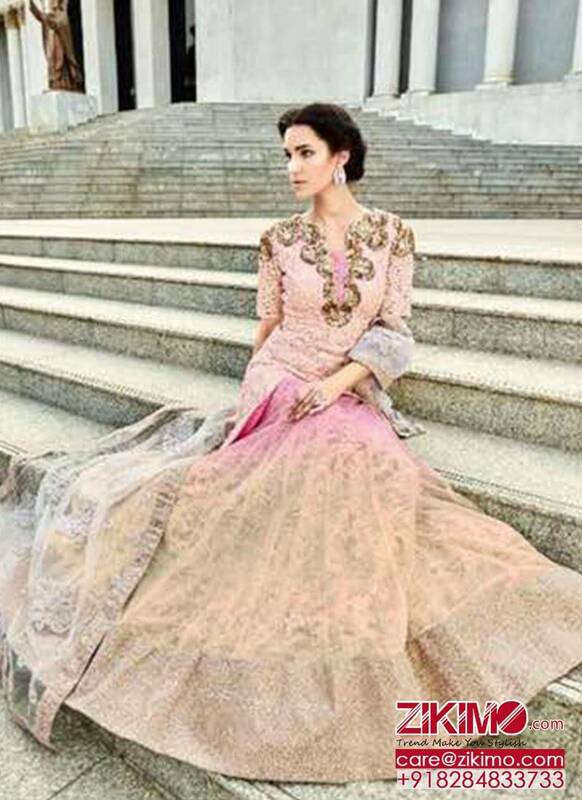 Lehenga is well Embellished And Very Pretty. Thank You Team Zikimo. Sequence, Stone Work On Net Top With Net Shaded Silk Lehenga Bottom And Net Dupatta.Note: This is Semistitched and needs to be fitted and stitched according to your size. If You Opt Stitching Option, Measurement chart will send to you via email after placing order.